AQUOS 360°Swivel Boat Seat . 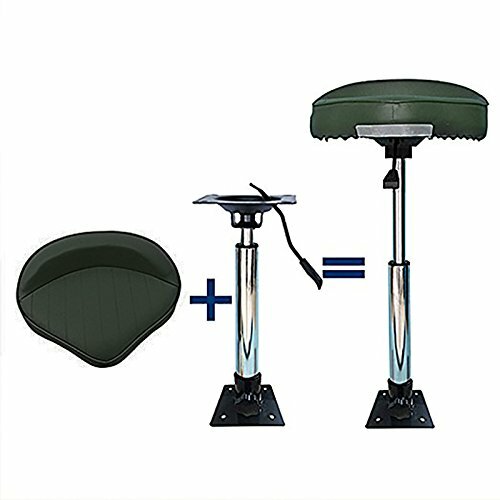 Simply the most comfortable seat on the market designed for the boats.Height Adjustable with a gas lift between 20''and30'',Swivels with gas lift runners for silent,smooth 360°rotation.Low profile design - Suits most standard marine seats Dimensions:6.7''and 6.7'' aquare-Suits standard.EDC-coated heavy guage hardened steel for maximium strength and resistance to corrosion. Manufactured from durable high-Impact moulded plastic .UV stabilised to resist deterioration ,cracking and fading. By investing a small amount into a AQUOS 360°Swivel Boat Seat today ,we promise that you'll never look back .No more uncomfortable long trips! EDC-coated heavy guage hardened steel for maximium strength and resistance to corrosion. Ideal where on board space is restricted；The color is green. If you have any questions about this product by Aquos, contact us by completing and submitting the form below. If you are looking for a specif part number, please include it with your message.